Picture description (copyright: Lufthansa Systems): Lufthansa Systems and Nagarro are entering a long-term partnership. 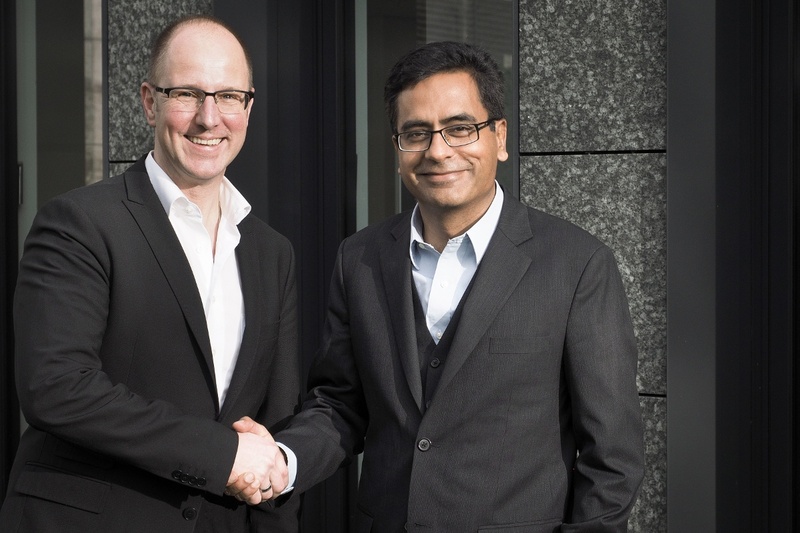 Stefan Auerbach, CEO of Lufthansa Systems (left), and Dr. Manas Fuloria, CEO of Nagarro (right). Raunheim, March 31, 2016 – Airline IT specialist Lufthansa Systems today announced that it is intensifying its cooperation with software development and consulting company Nagarro. Having successfully completed various projects together in the past, the two companies have now signed a long-term general agreement for their future collaboration. Following the motto of “(LSY)n : Change is in the air,” they want to create a new world of airline IT while improving the flexibility and responsiveness of current solutions. This will enable them to tackle the changing demands of the airline industry together. As a global service provider, Nagarro focuses on agility and contributes extensive knowledge of new technologies, software development and IT know-how. These technological strengths complement the years of experience that Lufthansa Systems has acquired in the airline industry, especially in airline IT. Together the two companies offer a unique portfolio of services covering everything from comprehensive consultation to the development of innovative solutions for airlines. The partners have already proven that they work well together on numerous projects in the field of software development, operations, maintenance and consultation, such as the development of the Purser Mobile Device for Lufthansa and the strategic product development of Lido/Flight 4D, the new generation of the leading flight planning solution from Lufthansa Systems. In future customer projects, one of the two partners will always take the lead and exclusively contract the other partner, so customers will always receive all services from a single source. The teams will be made up of employees from various disciplines in both companies. “We are delighted to have a reliable, experienced partner such as Nagarro, with whom we have already successfully implemented many projects. Nagarro’s expertise in agility and our in-depth knowledge of airline IT are a real USP for our customers. I am positive that we will be able to develop innovative solutions and take on challenging projects together,” said Stefan Auerbach, CEO of Lufthansa Systems GmbH & Co.KG. Nagarro is a specialist provider of software development and management services. Nagarro’s “Enterprise Agile” approach to technology and innovation enables its clients to lead in their markets. Nagarro is the global services division of the Allgeier SE. It currently employs 3,500 experts across 10 countries.